An International Conference on 8th century Himalayan sage Guru Padmasambhava was held in New Delhi. The conference was organised as part of events to commemorate 50-years of formalization of diplomatic ties between India and Bhutan. Guru Padmasambhava was born in India and travelled all across Himalayan region in the 8th century to spread Buddhism and Buddhist teachings. 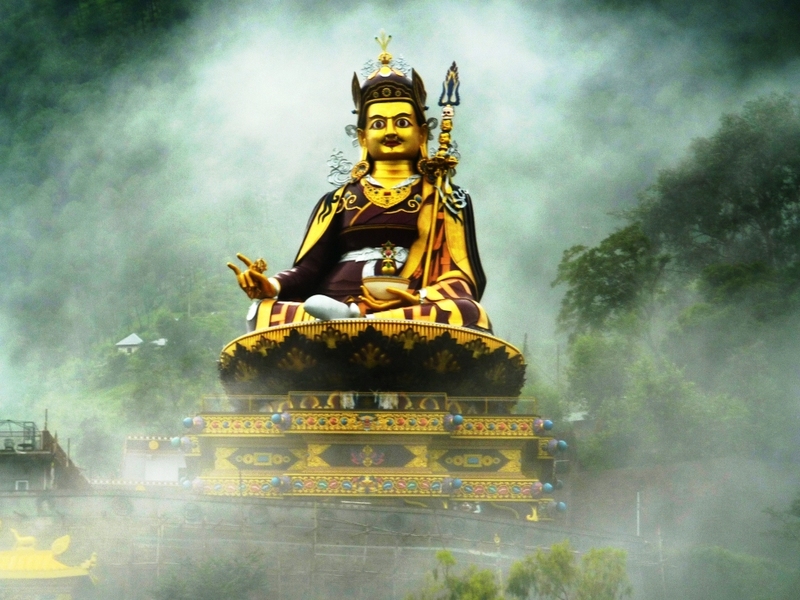 Guru Padmasambhava is highly revered in Bhutan. The India-Bhutan bilateral relations are governed by the Treaty of Friendship and Cooperation signed in 1949 and revised in February 2007. The Defence Acquisition Council headed by Defence Minister Nirmala Sitharaman has approved the acquisition of the Rs 1,200 crore Milan-2T anti-tank missiles. While the requirement was of 70,000 different types of anti-tank guided missiles (ATGM) and 850 different launchers, the DAC has approved the purchase of 5,000 Milan 2T anti-tank guided missiles from France. An anti-tank missile is aimed at destroying the vehicles that are heavily armoured. The Facebook-owned messaging app WhatsApp has announced Startup India-WhatsApp Grand Challenge to encourage entrepreneurs and small businesses in India. The challenge is being hosted in association with Invest India. The top 5 winners would receive a cash prize worth $250,000. The themes for this Start-up challenge are healthcare, rural economy, financial and digital inclusion, education and citizen safety. Invest India is a not for profit entity established in 2009. The 12th edition of Aero India, Aero India 2019, will be held at Air Force Station at Yelahanka in Bengaluru from February 20 to 24 with an aim to provide a significant platform in bolstering business opportunities in the International aviation sector. Since 1996, Aero India Exhibition/Show is organised every two years. The Aero India 2019 has a tagline “The Runway to a Billion Opportunities”. The Human Space Flight Centre (HSFC) which would be the core of ISRO’s future manned missions was inaugurated at the ISRO headquarters in Bengaluru. The Human Space Flight Centre will implement the first development flight of Gaganyaan with the support of existing ISRO Centres. The Gaganyaan project is headed by R. Hutton, who was the Polar Satellite Launch Vehicle (PSLV) Director. India’s new e-commerce policy came into effect on February 1, 2019. It bars online retailers from selling products through vendors in which they have an equity interest. It also bars them from entering into exclusive deals with brands for selling products only on their platforms. The key objective behind the revising the FDI rules for the e-commerce giants is to level the playing field in the retail space, as heavy discounting on online retail sites was causing heavy losses to the small and medium brick and mortar stores. Finance Minister Piyush Goyal presented the Interim Budget 2019-20 also known as ‘Vote on Account’ as it is close to the end of its term, on February 1, 2019. An interim budget is usually passed by the Lok Sabha without discussion. As per the Interim Budget or Vote on Account, the government seeks the approval of Parliament to meet its expenditure for the first four months (January-April) of the fiscal year with no changes in the taxation structure, until a new government takes over and presents a full Budget of the year in July 2019. 2. When was Invest India established? 3. When was Aero India started? 4. Where is the first Human Space Flight Centre (HSFC) inaugurated? 5. Who is head of the Gaganyaan project? 6. When did the new e-commerce policy come into effect?